Knjiga Johna Billsa An Illustrated History of Slavic Misery je že v prodaji v našem antikvariatu! 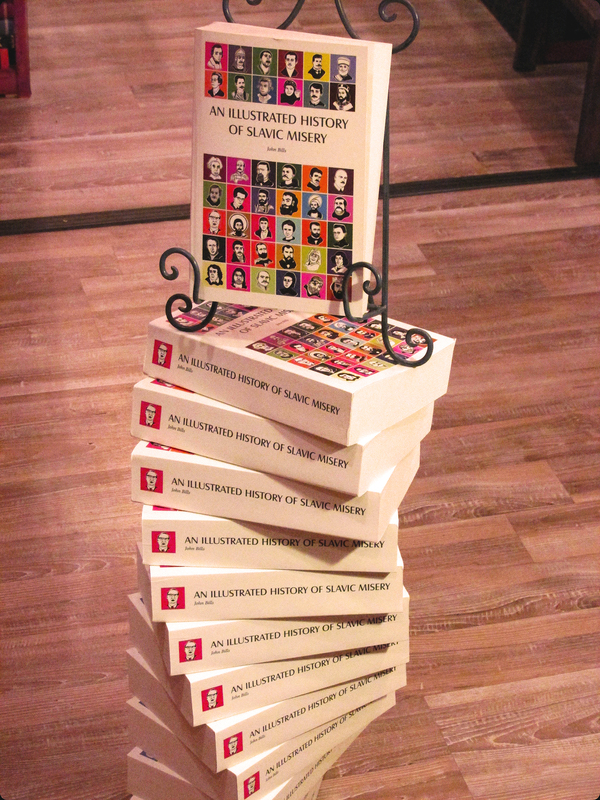 The book An Illustrated History of Slavic Misery by John Bills is available to buy in our bookshop! There’s a whole lot more to the Slavs than tired stereotypes and chain-smoking, and ‘An Illustrated History of Slavic Misery’ is here to, well, illustrate that. The good and the great of Slavic history are celebrated in this funnier-than-a-history-book-should-be tome, as John Bills celebrates the revolutionaries of Bulgaria, the poets of Bosnia & Herzegovina, the inventors of Slovakia and more, including Europe’s first vampire and a guy that gets drunk and floats down rivers. Pick up your copy at Antikvariat Alef, right now. As in stop reading this and go buy it!